THURSDAY, 31 MARCH – A total of 30 participants recently took part in the Malay Dance Workshop “We are One” organised by the Universiti Malaysia Sabah (UMS) Art and Culture Club. Head of the Art and Culture Division of the Student Affairs Department, Alan James said, the programme was organised to bring together dance enthusiasts besides improving the quality of this art at the university. 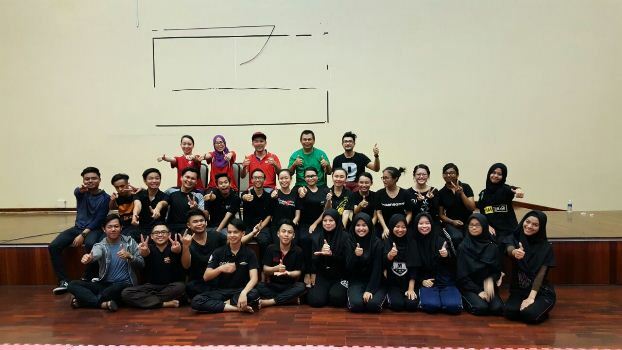 “In addition to that, the programme provides exposure and new experiences to the participants in the concept of Malay dances such as inang, zapin and joget,” he said at the closing ceremony of the programme held at the Taekwondo Hall, UMS. The three-day workshop was conducted by Suhaimi Magi, an experienced lecturer in the field of traditional and creative works now attached to the Faculty of Humanities, Arts and Heritage, UMS.